Monday’s EU Austerity Drinking Tour post just reveled in Burgundy. So let’s see if the US can come close. 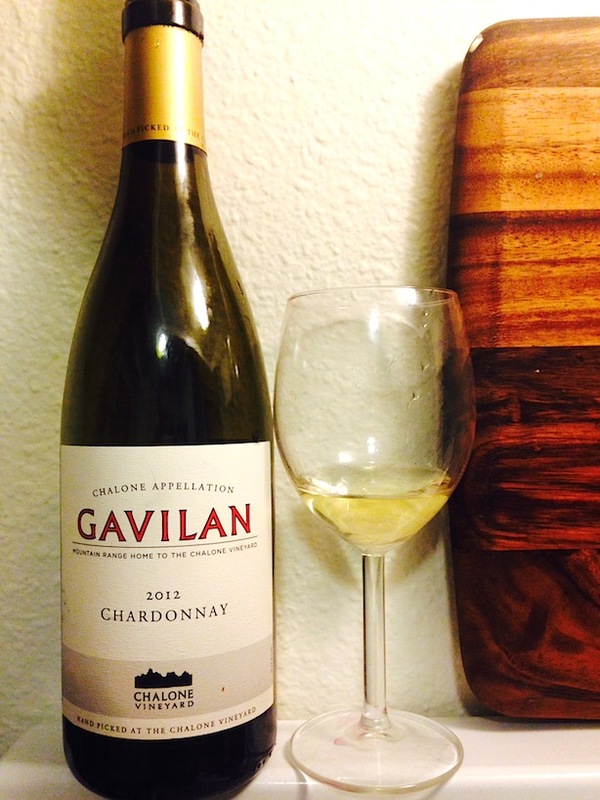 This Thirsty Thursday, we drink Chalone’s Gavilan, Chardonnay, Chalone AVA CA 2012. Now it seems selfish to get an AVA named after yourself, but then again, Chalone truly forged viticulture into this arid, 50 degree variant, limestone and calcium rich mountainous region of the Gavilan range. Even an 1890s Frenchie called Charles Tamm saw Burgundian parallels here. Chalone birthed barrel-fermented and aged Chard to California, garnering top scores French alongside Chateau Montelena at ’76’s Judgement of Paris (please watch Bottle Shock). Today’s bottle is a hand-harvested, approachable, ready brand extension (read value) for this esteemed estate. But does it hold up? Appearance: It appears a pale but glows bright with a limpid lemon color. Aromas: Expected browned butter and candied almond fade to reveal tart pear. Palate: It is dry, snappy and tart, yet medium bodied and silken. Flavors: Up front pear and melon fruitiness fade to dryness, lemon squeeze, and ashen minerality. Conclusions: This wine sings a French falsetto, straining at cool, high elevations to create something seemingly Burgundian. It is very good (4 of 5). I blink and think I’m back in Beaune, grabbing a $15 Bourgogne Blanc and loving it with a chunk of cheese and baguette (or cream-sauced chicken fettuccine with a dash of lemon). Of course! Some greats still matter!